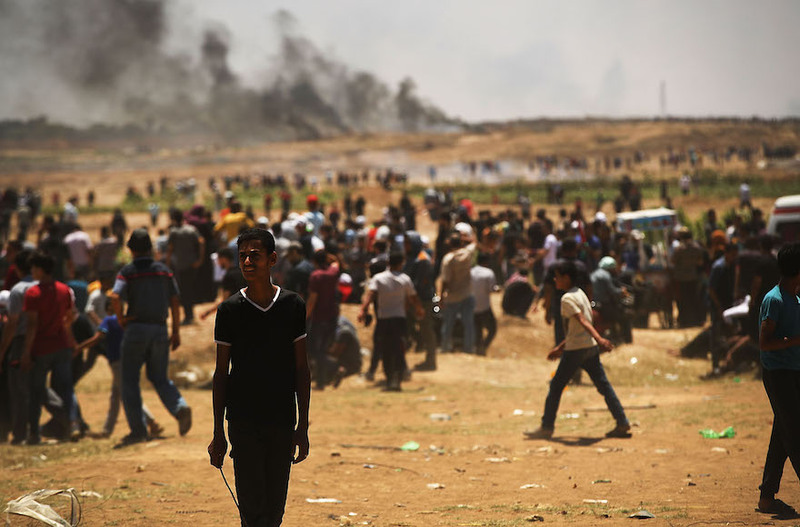 Israel and Hamas, the terror group that controls Gaza, are back in ceasefire negotiations after narrowly avoiding a violent engagement in the last week of March, centered around the anniversary of Gaza’s Great March of Return protests. But while the Egyptian-mediated negotiations are progressing, with the Gaza-Israel border mostly quiet, not many are confident that a deal will be reached after more than a decade of previous failures and three Israel-Hamas military engagements — in 2009, 2012, and 2014. Another war may have just been delayed, rather than avoided altogether. Current ceasefire terms, in which Israel eases its blockade of Gaza and works on energy initiatives in exchange for calm on the border and concessions to Hamas prisoners in Israeli jails, have already been agreed to multiple times in the past. “This is a repeat,” said Gershon Baskin, the Israeli peace activist who helped negotiate with Hamas to free captured soldier Gilad Shalit in 2011. Negotiations tend not to move beyond Israel’s re-opening of border crossings and extending of the Gazan fishing zone. The soldiers were killed in the 2014 Gaza war and taken by Hamas, while the civilians, both mentally ill, had entered Gaza on their own. Hamas has been using the captives as leverage for another prisoner exchange similar to the one that freed Shalit. More than a thousand Hamas prisoners were freed by Israel, which many Israelis consider too high a price to pay. “I see this as a kind of bone-in-the-throat issue which is stuck,” Baskin said. He is frustrated that Israel and Hamas only speak indirectly through Egypt, and that the prisoner-body exchange is part of the conversation at all. If the ceasefire negotiations aren’t expected to be successful, why did both sides de-escalate in the last days of March? Simply put, neither side wants war. Baskin agrees that the military option for both Hamas and Israel have been exhausted. But unless the prisoner-captive negotiations reach a deal, and the Gaza blockade is significantly reduced, both sides are inevitably headed towards another confrontation. Most Israelis would insist that Gazans feel trapped because Hamas leaders care less about taking care of their people than they do seeking to destroy Israel. While Israel’s obstacle is a too-generous prisoner exchange, for Hamas it’s the poor state of Gaza’s economy. But Israel’s version of a complete ceasefire still leaves a deteriorating Gaza with only a few hours of electricity each day, little clean water, and 70 percent youth unemployment. If Israel were to grant real economic concessions to Gaza, and work with Hamas to do so, there would be more incentive to keep calm in the region, Eiland said. Though Hamas has a “very extreme ideology” against Israel, he believes they’re far more motivated by the economy, without which there won’t be a Gaza to govern. “The Israeli willingness to give something to the other side is too small” in current negotiations, he said. Lev Gringauz is an American journalist studying in Israel this year.